Annapolis, Md., is no longer home to the nation’s most-sober service academy, according to a survey by The Princeton Review. The group’s yearly “party school” rankings came out Monday, and while most media attention has rested on the University of Iowa’s rise to the top of that list, the accompanying “sober school” list includes three service academies, with Annapolis bringing up the rear at No. 9. 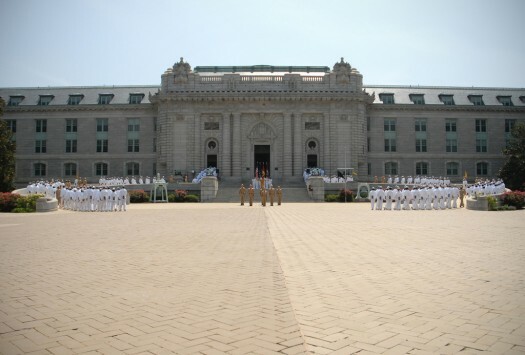 The U.S. Military Academy ranks fifth, with the Coast Guard Academy in eighth. It’s a bit of a shake-up from last year’s list, when the Navy had the most-sober service academy (third on the list overall) followed by the Coast Guard (fourth) and West Point (sixth). The Air Force Academy in Colorado Springs, Colo., was 16th on the 2012 list but didn’t make the 2013 list. The ranking is based on a survey of 126,000 students. Brigham Young University in Provo, Utah, retained its spot as the most-sober school for a 16th-straight year, BYU reps said.